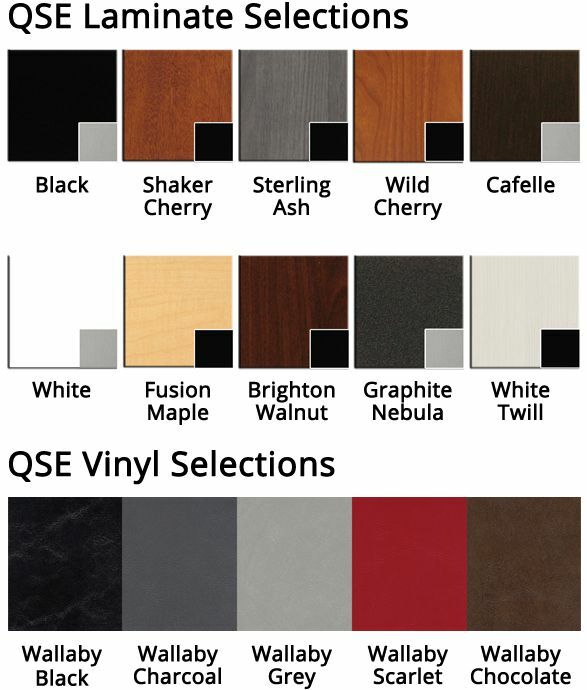 These selections are the standard laminates stocked by Collins. 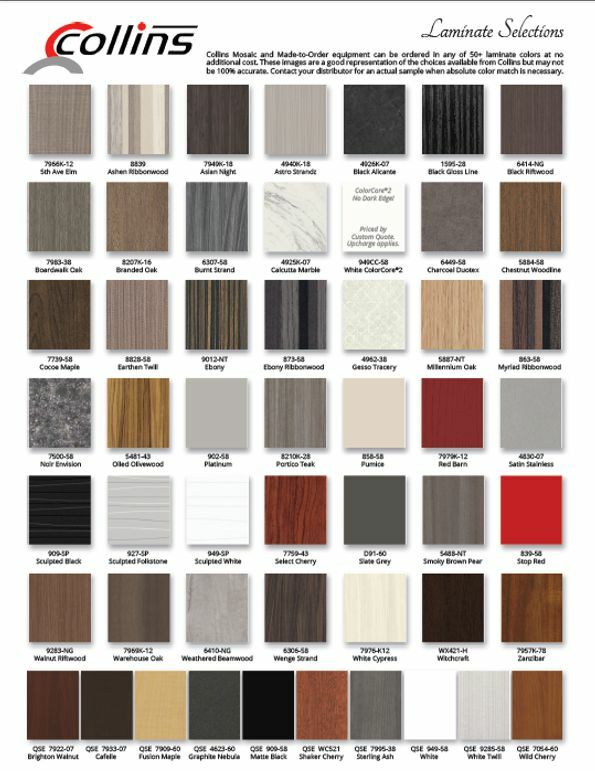 Any of these 49 great laminate selections can be specified when ordering Collins salon equipment from the Mosaic catalog. Collins salon equipment can also be special ordered in practically any commercially available laminate offered by Wilsonart, Formica, Pionite, Nevamar, or Laminart. Specialty orders cost just 10% extra and may take a little longer than the stocked laminates. Note: Colors are not 100% accurate on the screen and some of the selections on these websites may result in higher costs.